A lot of people might think that pumpkin is an autumn-only ingredient. Well, let us confess, we use pumpkin all year ’round. Don’t judge. 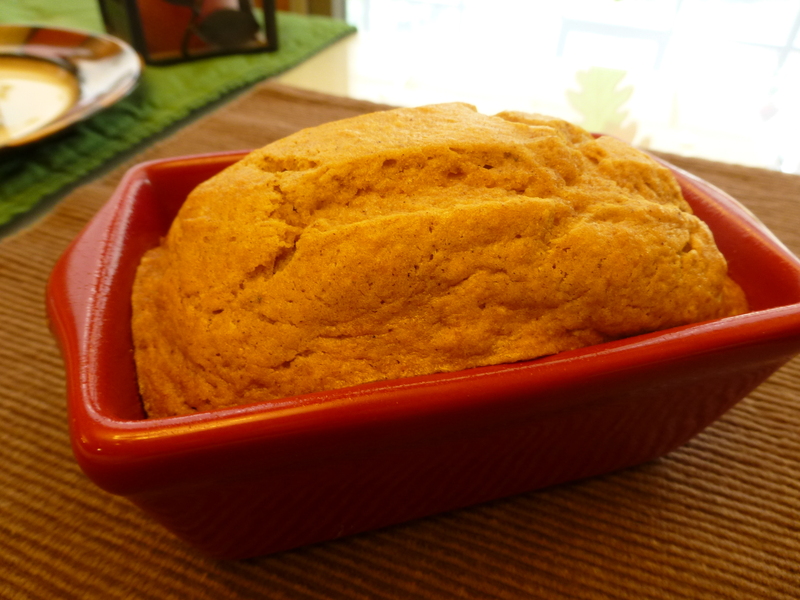 And Innkeeper Dave’s pumpkin bread remains our top-requested recipe. So we have it here just for you. Enjoy! Combine wet and dry ingredients and spoon into loaf pans. Bake for an hour; cool for 10 minutes. Makes 3 medium + 2 small loaf pans; or 2 large loaf pans. This entry was posted in Recipes and tagged Recipes by Inn on Mill Creek. Bookmark the permalink. I stayed with you a couple of summers ago with my then-boyfriend. He’s gone, but I’ve kept this recipe going strong! The last time I made it, it didn’t turn out as normal, and I am trying to figure out what went wrong. I wanted to check: does “¼+ cup Brown Sugar” mean 1/4 cup and a little bit, or 1 cup + 1/4 cup?